In neighborhoods throughout Gaston County, pink and white petals of blooming tulip trees have caught a ride on the season’s first warm breeze. Foliage awakens from its long hibernation—buffering the recently bare edges of rugged trails at Rocky Branch with a brilliant green carpet. And the grounds of the Danial Stowe Botanical Garden are exploding with every imaginable color. It would be difficult to top springtime for an exploration of Gaston County’s outdoor places. If pleasant temperatures and longer days have you looking for a new adventure, but you’re not sure where to start, we’ve got you covered. Throughout the season, local groups are organizing all sorts of activities—making it easy to have a first peek at a new place or to see an old favorite from a whole different angle. Whether it’s hammering through a hilly stretch of singletrack, pounding the pavement at your first 5K, or getting stretchy at a yoga class in the garden, these spring events around Gaston are worth a spot in your smartphone’s calendar. The Cherry Blossom 5K on April 22nd is not only dog-friendly, but precedes a day of festivities with rides, food, and music in downtown Cherryville. On April 30th, over 100 vendors line the streets of Mt Holly for the annual Mount Holly Springfest 5K celebration. But before the first funnel cake is dusted with sugar, a couple thousand runners will race around town, earning series points and pre-burning calories. This year brings a first ever 10K to join the most popular 5k of the race series. Series points are calculated from a runner’s 8 best races. While each participant is automatically entered into the series competition by registering for any event, each race is run individually with its own prizes. A criterium, or crit if you want to sound like you're “in the know”, is a super-fast paced road bike race where a tight pack of riders tussle for position around a one-ish mile loop. Typically held on city streets, these events are action-packed and fun to watch—even for those who don’t list cycling among their favorite sports. On May 1 st , 2016, the CaroMont Health Criterium brings the spectator-friendly race to the quaint streets of downtown Belmont. The festival atmosphere of the day-long event includes food vendors, music, and a kid’s zone. If you’re looking for something a little less “race really fast just inches from a dozen other riders”, the Gaston County Cyclists organize almost daily road rides throughout the warmer months. Routes vary and include the beautiful countryside, small towns, and hilly terrain typical of the western Carolina piedmont. There are rides for all levels from beginner to advanced, and each is well described on the group’s website. Tucked away in an unlikely spot, just blocks from downtown Belmont, the Rocky Branch Trail is a hidden mountain bike gem in Gaston County. Built on a set of tightly packed hills—more than you thought could possibly be in Belmont—the singletrack trail is a challenging four miles. On April 24th South Main Cycles of Belmont invites you to try out the trail and demo a mountain bike. There’s no cost for the event, and the day includes food and prizes. The Daniel Stowe Botanical Garden is always an extraordinary experience. But spring is a special time at DSBG, where each habitat becomes a palate for nature’s best and brightest work. 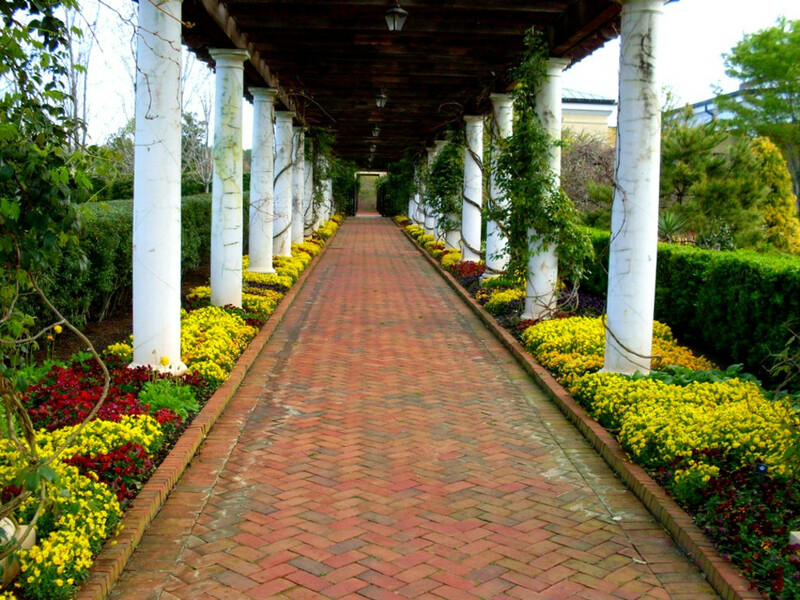 Two events organized by the Garden offer a fun and active way to experience the grounds in all their vernal splendor. A robust schedule of Yoga classes at DSBG offer the perfect antidote to winter’s confinement. Stretch out amongst the flora and recuperate your body and mind in a setting no studio could match. The regular series includes a rejuvenating variety of classes for individuals and families. Earth Day is a time set aside to specifically consider the natural world we inhabit. What better way to celebrate than among the foliage of Daniel Stowe Botanical Garden. The Earthfest events on May 16th include music, games, and exploratory hikes to get you thinking green.